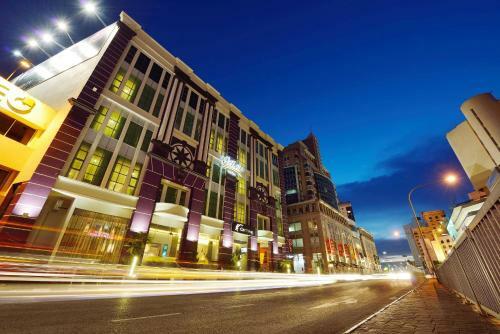 GoREST House is situated at the heart of Kuching, the capital of Malaysia’s state of Sarawak. On the large and lush island of Borneo, GoREST House is ideally located to use as a base for exploring the nearby natural, cultural, and historical delights. Whether you want to spend a few days enjoying pretty Kuching or whether you want to indulge in some fantastic outdoor adventures, GoREST House offers comfortable rooms at good prices, a welcoming family atmosphere, and a terrific location. The guesthouse has several different room types including six beds within a mixed-gender dormitory (three bunk beds), a single room and a double room with shared bathrooms, and an en suite single and double room. The room prices are incredibly reasonable, allowing you to get more bang (or snoozes!) for your buck. 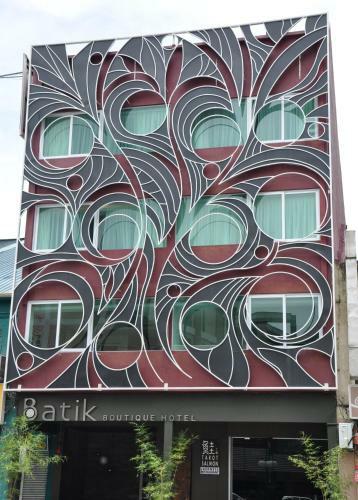 The standard double room with private bathroom is the most expensive option, costing just 60 MYR (approximately 14.5 USD), whilst the cheapest option is a bed in the dorm – 20 MYR per night (approximately 5 USD). Note that the guesthouse is located on the third floor of a row of traditional shop houses and there is no elevator. 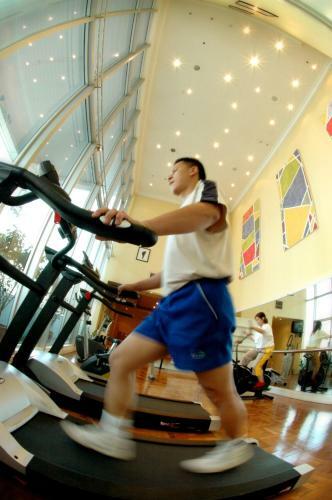 This is something to keep in mind if you are really averse to climbing stairs! Whilst the rooms may be basically furnished, they are clean and comfortable, with enough space for you and your belongings. Rooms have air-conditioning and hot water is available in all bathrooms, both private and shared. The deluxe double room has a comfortable double bed, a clothes rail, two small bedside tables, and a long built-in bench underneath the window, ideal for sitting and watching the world go by outside or stashing your luggage out of the way. Lockers are provided in the dormitory for extra peace of mind for those sharing with strangers. Incredibly warm and welcoming atmosphere: Be part of the family! The owners really go out of their way to make you feel right at home, offering loads of useful information and tips and assisting with trip bookings if required. Chatty without being overbearing, you can sit and natter for hours or enjoy some peace and quiet on your own – the choice is yours! The youthful family has a small child who is very inquisitive. Whilst her parents respect that guests may not want to spend time entertaining a small kid and move her away from guests when she starts to show an interest, this may be something to keep in mind if you really have no time for children. With just a handful of rooms, the owners can easily keep up with each and every guest, showing a keen interest in your daily activities. The communal living room has an amazingly attractive wall. Painted by a family friend, it merges the city theme of cats with the guesthouse owners’ love for outdoor adventures. There’s a canoeing cat, a hiking cat, a camping cat … indeed, all manner of active kitties! Immediately visible upon walking through the main door, this makes you feel at ease straight away. All bathrooms have complimentary body wash and a basic breakfast is included each morning. Breakfast consists of toast and an array of fruity jams, tea, coffee, and water. There is a TV and DVD player in the living room that guests can use for some chilled out and relaxing downtime at the end of a hectic day. If you want to cook some of your own meals, the family are more than accommodating in allowing people to use the kitchen … although the cleanliness standards of the kitchen aren’t quite up to the same standard as the bedrooms. A refrigerator is also available for guests to use. If you really want to do some ironing on vacation (!!!) there is an iron that you can borrow. Guests may also borrow a hair-dryer and strong, reliable Wi-Fi access is available throughout the small and cosy property. As the guesthouse is at the top of some shop houses, there are several other small companies and homes in the same building. McDonalds fast food restaurant is located on the ground floor (the internal stairs to the guesthouse are to the left of McDonalds), and there is also reflexology centre. With one of the city’s famous cat statues right in front of the guesthouse, the waterfront around a five minute walk away and most of the city’s main attractions within a comfortable walking distance, the location helps to make GoREST House an attractive option for a stay in Kuching. Top Spot Food Court is close to hand, where you can enjoy an assortment of local cuisine such as Nasik Aruk, Mee Sapi, and Sarawak Laksa. It is also known for its abundance of fresh seafood and fish dishes. You’ll find even more great dining options of an evening along the lively riverside. Interesting museums, like the Sarawak Museum, historical sites, like the Square Tower, and fabulous shopping, both at malls and the fabulous Main Bazaar, can also be reached by foot. Need even more reasons to choose GoREST House? Guests are given a free city map on arrival, with some of the major nearby spots of interest pointed out. Tours can be booked at the property to some of the state’s incredible and wildlife-rich national parks, such as Bako and Gunung Gading. Fancy a spot of climbing? No problem. Want to go diving? You got it. Is hiking more your thing? Under control. How about caving? Sure thing! You can also arrange transfers to the airport and other parts of the state. Although small, a really touching gesture is that all guests are given a badge on checkout to remind them of their lovely stay at GoREST. 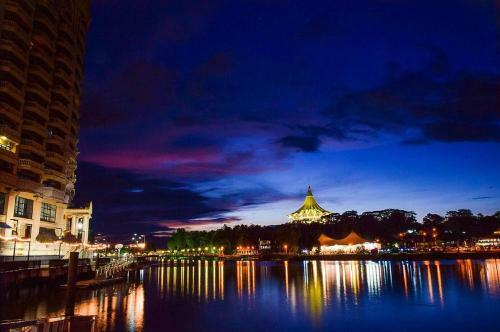 Book your stay at GoREST House and discover the many charms of Kuching and its wonderful surrounding areas.